This post talks about video production tips for framing individuals in your church live stream. It's part of our series on church live streaming. This post is based on the "Video Framing & Composition Guide: What You Need to Know to Frame a Killer Shot." 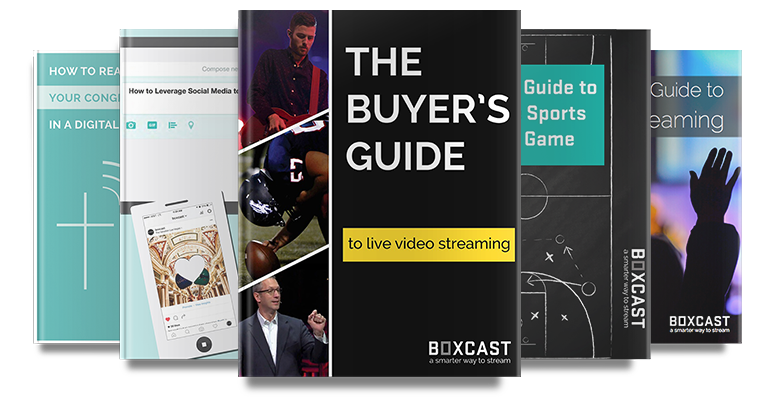 To learn simple framing and composition techniques to improve your live streams, download the free guide. As a camera operator for your church, you can make your message even more powerful by taking some time to consider the goal of each sequence of a service. Are you trying to evoke emotion? Do you need to emphasize the scenery behind the pastor? What’s the theme of the pastor's sermon? 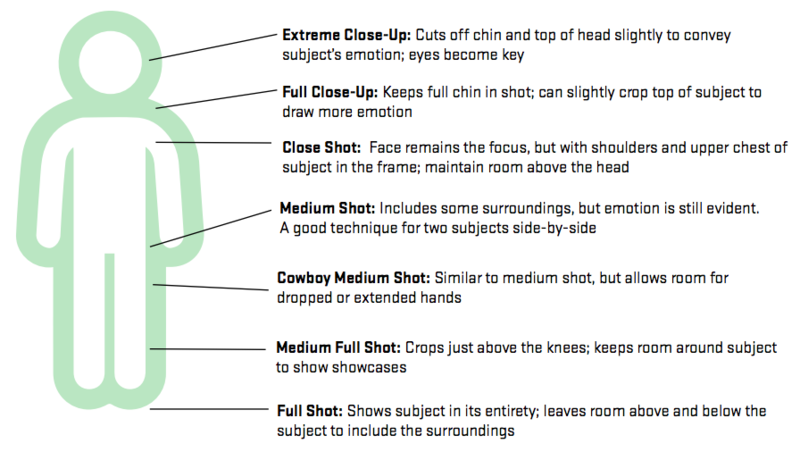 The way you frame your shot is often just as important as the subject of what you're shooting. In the image below, we show you various types of camera shots, using the human body as a representation of your field view. As you'll see, just like in reality, the closer you get to your subject, the more personal it feels. Your distance to your subject is just one element that can entirely alter the impact of each frame. For more techniques, including a break down of The Rule of Thirds, headroom, and lead room, download our free Video Framing & Composition Guide below. Does Live Video Streaming Hurt Church Attendance?